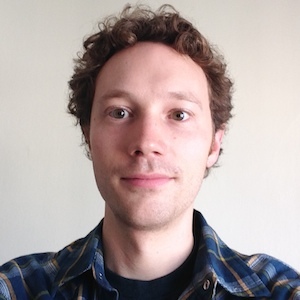 Sam Harnett is a reporter who covers tech and work at KQED in Northern California. For the last five years, many of his stories have shown how technology and capitalism are changing the way we think about ourselves and what it means to work. He is the co-creator of The World According to Sound, a 90-second podcast that features different sounds and the stories behind them. Before joining KQED, Sam worked as an independent reporter who contributed regularly to The California Report, Marketplace, The World and NPR. In the '80s and '90s, Filipino American turntablists dominated parts of California's party scene, and pushed some DJs to national hip-hop fame. Want to hear the sound of London's Millennium Bridge or the sound of metal workers in Kathmandu? You can do both on the sound map Aporee. How do you decide when it's safe to go home after a nuclear accident? Three and a half years after the Fukushima disaster, the government says the clean-up is mostly completed in one nearby town. But only half the residents have returned. It's been three and a half years since the nuclear disaster in Fukushima, and clean-up is still going. The area is still too dangerous for residents to return, but an army of decontamination employees has created its own small economy in the area, keeping a small number of businesses alive. What does the US citizenship exam actually test? The US citizenship has an amazingly high pass rate — but it also has a number of critics. They argue the questions, frankly, are bad. And the test doesn't encourage immigrants to become better citizens, but rather to memorize facts they can write on the test. At some level, all countries push new citizens to integrate and that's where civics and language citizenship tests come in. But when you take a longer look at how citizenship exams are developed worldwide, you realize they can have less to do with methodology than promoting a strict cultural identity. There’s a new front opening in the effort to pump oil out of Canada’s tar sands. Plans to build pipelines to the south to the Gulf of Mexico and to the west to the Pacific Ocean are in question. Now TransCanada wants to head east from Alberta to refineries on the Atlantic. El Nuevo South. That's how some refer to the recent influx of Latinos to places like South Carolina, Arkansas, and Georgia. The changing demographic has sparked racial tensions. But the city of Dalton, in northwest Georgia, has a different story.